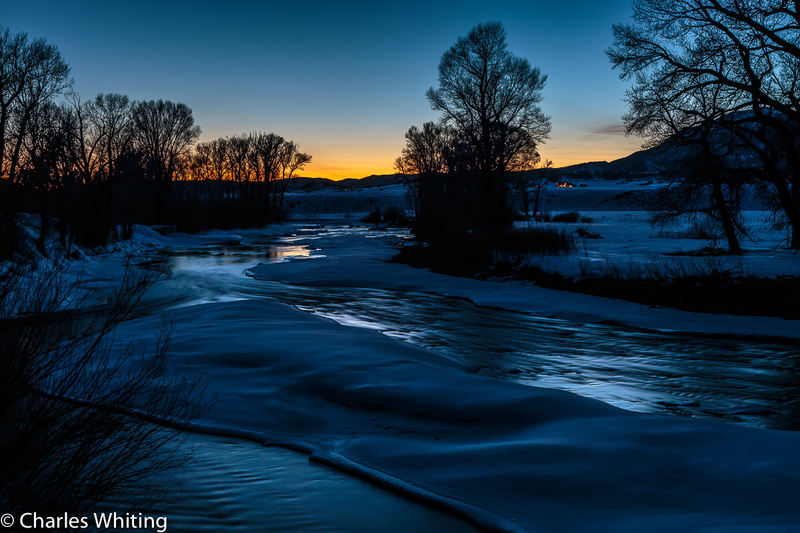 Elk Creek illuminated by the last light of the day with house lights shining in the distance. Steamboat Springs, Colorado. Photo © copyright by Charles Whiting.